Charles “Chip” Becker is a partner at Kline & Specter, PC, where he has primary responsibility for the firm’s post-trial and appellate practice. He also works with firm lawyers on numerous issues as they arise in the firm’s cases, including case and claim selection, venue and dispositive motions, in limine motions, trial strategy, and settlement. He has briefed and argued cases in all of Pennsylvania’s appellate courts and in several federal appellate courts, primarily the Third Circuit Court of Appeals. 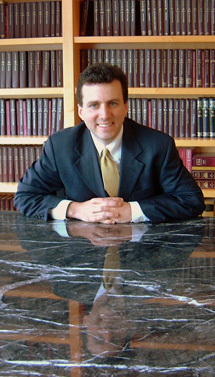 Through his appellate work, Becker has helped the firm protect numerous jury verdicts and rulings in plaintiffs’ favor. He also has helped win new trials in cases that resulted in defense verdicts. For example, in Polett v. Public Communications, Inc., Becker persuaded the Supreme Court of Pennsylvania to reinstate a substantial verdict in the plaintiff’s favor after an intermediate appellate court ordered a new trial. In Stange v. Janssen Pharmaceuticals, Inc., Becker persuaded the Superior Court to affirm a plaintiff’s verdict in pharmaceutical litigation, reverse a trial court order dismissing the plaintiff’s claim for punitive damages, and remand for further proceedings on punitive damages. In L.R. v. School District of Philadelphia, Becker persuaded the Third Circuit to allow a civil rights lawsuit to proceed under the “state created danger” approach to proving due process violations. Becker has been involved in non-personal injury matters as well. For example, in Harrison v. Cabot Oil & Gas Corp., acting as pro bono counsel on appointment of the Third Circuit, Becker persuaded the Supreme Court of Pennsylvania to interpret an oil and gas lease favorable to landowners on an issue of first impression in Pennsylvania law. Becker is a fellow of the American Academy of Appellate Lawyers, a group of experienced appellate advocates committed to advancing the administration of justice and the highest standards of professionalism in the appellate courts. He serves on the Pennsylvania Supreme Court’s Commission on Judicial Independence, which promotes understanding about the rule of law and the role of the judiciary in civil society. Becker currently is the president of the Third Circuit Bar Association, which strives to promote the quality of advocacy and practice in the Third Circuit Court of Appeals. He is a member of the Advisory Board of the Courts and Community Committee of the Judicial Council of the Third Circuit. He is a member of the American Law Institute. Becker recently completed ten years of service on the Pennsylvania Supreme Court’s Appellate Courts Procedural Rules Committee, which advises the Pennsylvania Supreme Court on the development and improvement of its appellate rules. He taught appellate advocacy for five years as a member of the adjunct faculty at the University of Pennsylvania Law School. He also chaired the Appellate Courts Committee of the Philadelphia Bar Association. A graduate of Williams College and Yale Law School, Becker served as a law clerk for the Honorable Sandra L. Lynch of the U.S. Court of Appeals for the First Circuit. Becker was named as among the Best Lawyers in America by the independent peer-review rating service for 2013-2019. He was selected among the best attorneys in Pennsylvania by Super Lawyers from 2011-2018 and previously was chosen by that independent rating service as a "Rising Star,” considered among the best 2.5 percent of attorneys in the state 40 or younger. In 2006, he was named a “Lawyer on the Fast Track” by American Lawyer Media. He has an AV Preeminent rating from Martindale-Hubbell. Becker lectures frequently at continuing legal education programs on substantive issues and on handling civil appeals. He is a chapter co-author of the Pennsylvania Bar Institute’s Third Circuit Practice Guide and a contributor to the Third Circuit Bar Association’s Practice Guide for the U.S. Court of Appeals for the Third Circuit. He recently co-authored two chapters in The Supreme Court of Pennsylvania—Life and Law in the Commonwealth, 1684-2017. (Read chapter) Becker is a member of the Philadelphia Bar Association, the Third Circuit Bar Association, the Philadelphia Trial Lawyers Association, the Pennsylvania Association for Justice, and the American Association for Justice.